For years, traders have had the deck stacked against them as the big institutions had all the news and market knowledge way ahead of the retail trader. 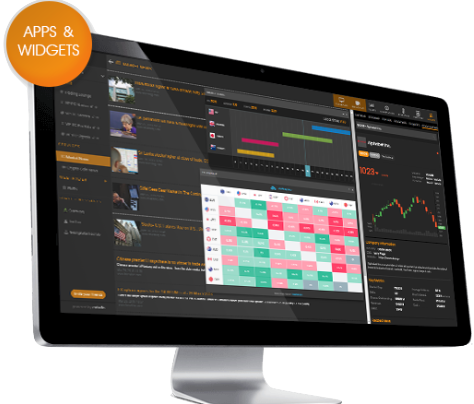 We aim to redress that balance with the ForexFlow Trading Platform. The ForexFlow Trading Platform provides access to a large community of real traders who openly communicate and who are ready to help less experienced traders navigate markets. Our chatrooms are a breeding ground for ideas and strategies, and also a place to learn how to trade properly. We have brought together some of the most knowledgeable traders in the business to share their insight and experience. We have traders who have traded markets in every corner of the globe and who trade their own money each and every day. The platform also provides breaking market news and analysis, forex orders, option levels & option market information, as well as charting functions, live data releases, squawk, research, live broadcasts, webinars and trading, direct from the platform. No more need for multiple browser pages and programs running. It’s a one-stop shop for all traders. If you want to get ahead of the game, come and join us. 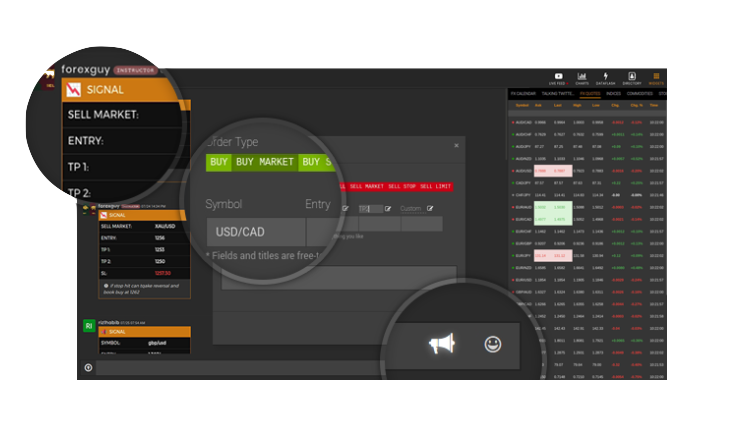 The ForexFlow Trading Platform is run and hosted on third party software. ForexFlow Ltd has no rights or control over changes to the platform, save for any requested by ForexFlow Ltd. All and any software is provided by Echofin and their partners. Any services provided by ForexFlow Ltd may also be from third-party providers and we take no responsibly for their use, change or withdrawal from the platform. Such services (provided by either Echofin and ForexFlow Ltd) can be changed, altered or withdrawn (by either Echofin or ForexFlow Ltd) at their discretion. Some of the widgets and plugins in the platform are also third-party services and may be withdrawn or changed without notice. As a user you may not download, copy, modify, reproduce, publish or republish, upload, post, transmit or distribute in any way, material either provided by Echofin or ForexFlow Ltd and/or its contractors, or material which is subject to any copyright restrictions or laws. 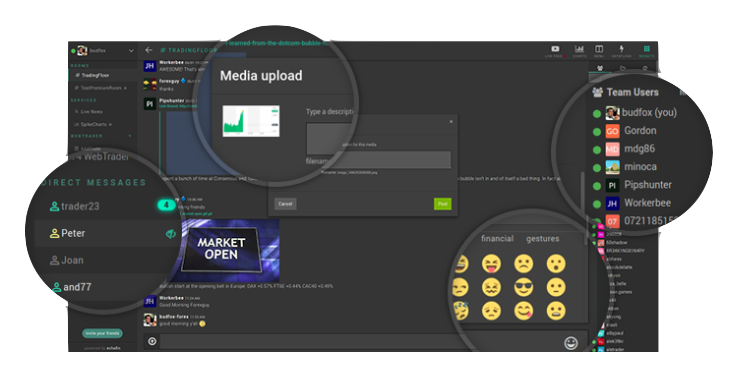 Some market related news is solely for use within the platform and may not be reproduced, copied or published outside of the platform. Failure to abide by any of these terms and conditions may result in an instant cancellation of a users subscription. Any opinions, news, research, analyses, prices or other information contained on this platform is provided as general market commentary and does not constitute investment advice. You acknowledge that this platform does not aim to provide investment, tax or legal advice tailored to individual investors and that you can lose money on investments. This platform does not recommend any financial instrument, investment or product, including those discussed on this website. This platform should never be used in isolation of your individual circumstances. You must consider your financial circumstances, risk tolerance, liquidity needs and investment objectives. This platform does not replace the advice of an authorised investment professional or independent financial adviser. The content on this platform is not appropriate for the purposes of making a decision to carry out a transaction or trade. You should check all information and prices immediately prior to carrying out any trade. You acknowledge that neither ForexFlow Ltd, nor ForexFlow Ltd. staff, subcontracted or third-party content providers, will give investment advice as part of our service and that you must not ask them to do so. Any solicitation of products and services via the platform without permission is forbidden and could result in your subscription being suspended or terminated. All billing for the use of the ForexFlow Trading Platform is undertaken by Echofin and their payment service providers. Forex Flow Ltd will not be held responsible for any billing issues direct with the payment service providers but we will provide a channel between customers and Echofin to try and resolve any general issues. Services and billing will commence upon acceptance of any payments and will run concurrently (monthly) from that date. You are free to cancel your subscription at any time by contacting us via email at info@forexflow.live All services are non-refundable. When you cancel you will continue to have access until the end of that billing period. While you may cancel at any time you are advised to do so at least 3 days before the next billing period. We encourage open and honest discussion in the chatrooms and we firmly believe in freedom of speech. Trading is full of opinions and we understand that those opinions may clash at times. However, what will not be acceptable is any form of abuse of a personal or general nature. Respect others as you would like to be respected. Failure to do so will result in either a temporary ban of use or us cancelling your subscription altogether.